Do I Have Enough Space For My Vegetable Garden? A Vegetable garden is not only beneficial to reducing your household grocery bill, done correctly it can also be a great attraction to your property. There exist a numerous diversity of Vegetable you can grow in your garden, some.such as certain cabbage plants, are even ornamental. If you’re just starting off growing vegetables, then be aware that vegetable gardening is not always an easy task to undertake as it requires dedication and sometimes hard work to produce a thriving garden. However, you can start of as small or large as you like. I always suggest to beginners that they concentrate on a smaller plot to begin with. Stick to growing plants that are hardy, disease resistant and suitable for your climate and soil types. One of the main challenges of small garden designs is, of course, space, so you must be disciplined in your approach. Although experimentation is entirely more comfortable in a small garden, you would need to spend some time planning and thinking about the potential veggie fit regarding color, height, spread, and texture. 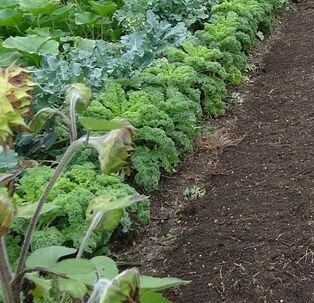 Here are few vegetable garden ideas beginner gardeners need to learn before starting their veggie garden. 1). Do You Have Enough Space? This is a common issue with suburban gardens in particular. Often people assume you have to have a large plot in the backyard. But you’re not really restricted to area when wanting to construct a garden. Vegetable gardens can be constructed using containers or even planted singularly throughout your current garden beds. Since not all plants grow at the same level of maturity, height or width then you should make sure your vegetable gardening space is enough to handle the growth of each veggie you have selected. And under the specified sunlight condition. Small gardening designs do not require the presence of all the vegetables you are familiar with. As a beginner in the field of gardening you choose maybe half a dozen varieties that will compliment each other on the dinner table. 3). Include Your Children When Selecting a Theme or Varieties. This makes gardening enjoyable not only for the grown-ups but for your children as well. It is an excellent way to move the kids out of the house and into the healthy atmosphere of your Garden. Research has shown that including children in the planning and development of a vegetable patch makes them more likely to eat them. It helps them to develop a sense of responsibility. Children love to observe plant growth over time. However, they can have short interest spans. When deciding on which plants to grow, always include some radishes and loose-leaf lettuce plants. These plants are quick to grow and will keep your children interested. I also found with my grandchildren love bean plants. They will eat the crop fresh off the plants, before they ever reach the dinner table. But this doesn’t matter because as long as they eat them they will receive the benefits that fresh produce can supply them. Some Easy Vegetables To Grow In Your Garden. You should select veggies that are easy to grow, high nutrition value and of course your kids favorite. Additionally, always consider climatic needs of the vegetables you want to grow. You can record crops that thrive in a particular climatic zone so that even when the climate changes, you still have an idea of what to plant based on your record. Below is a list of easy to grow veggies to help you decide. Some tolerate summer, others winter, some spring or fall. 1. Tomatoes. Cherry tomato is the perfect type that does well in most soils and tolerates cold climates. However, if you plant potatoes in the fertile ground, you will need to apply drenching techniques every week until the start of fruiting. 2. 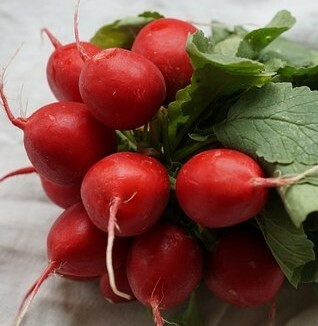 Radish. Radishes are easy to plant root vegetables you can grow as they thrive well in all climates, throughout the year and in temperature zones. They are short season crops that take 4 to 5 weeks from planting to maturity. Insects and disease do not easily attack them due to their early maturity. 3. Carrots. Carrots grow well in soils rich in organic materials, they grow well in warm climates but does not tolerate hard kind of grounds. 4. Spinach. Spinach thrives best in colder climates. The seeds are planted direct into the beds, covered with soils and regularly watering especially during hot weather conditions. During harvesting harvest big leaves, at least 5-6 stalks for better growth. 5. Bush beans. These veggies grow favorably in warm weather conditions. Feed them with liquid fertilizers and remember to harvest when they are young and tender. 6. Sweet pepper. This veggie thrive best in warm climatic conditions, however, does not tolerate low overnight temperatures. You can plant sweet peppers in the containers, or direct to the plots or beds. 7. Mini Tomato’s. Tomato’s can be difficult plants to grow. They usually take a lot of maintenance work and can suffer from various diseases. However, the tiny or Mini varieties are generally much easier to grow. As a matter of fact I haven’t had to plant them in my garden for many years. The birds do the job for me by spreading the seed. I simply remove those plants that are in places I’m not happy to have them. 8. Open Leaf Lettuce. There are many varieties and colors of this type of lettuce, from green to red and many shades in between. They are easy to grow and pick. You simply rip off the young leaves and place them in your salad. It is a long lasting plant because new leaves will grow back after you pick the old ones. Make Vegetable Gardening an enjoyable experience. Successful small vegetable gardening designs have as much to do with tools and accessories as the idea of how to grow them. Below is a list of the most essential gardening tools you will require. With the correct tools on hand gardening can be an enjoyable experience. Spade have many uses in any garden, with them you can make holes for planting larger veggies, chopping out the waste matter and digging out root plants like potatoes or parsnips. Dibbers are little tools with various users, they are made of wood and comes with or without handles. They are most useful for planting young plants as they make exact hole size to accommodate the plug plant. Hoes are very useful tools in the vegetable garden, not only can you utilize them for weeding, but they can also be used for and making a hole to plant veggies like courgettes and potatoes. They are also used for constructing furrows to plant seeds. Watering can is a very crucial tool for watering all vegetables. It is better to buy a larger can to save you time. A larger can will cover more plants. However, for watering younger plants and tender seedlings, make sure the nozzle allows for a fine spray of water. This will make sure you don’t do any damage to the plant. Water each plant in well and then leave for a few days or up to a week. Depending on your weather conditions. You don’t want to keep your plants to wet or to dry. You need to find a balance. I like to add a half strength of seaweed, or fish, liquid fertilizer in the watering can for it’s initial soaking when planted. Then, every two weeks I would include more Liquid fertilizers at half strength. When your plants are settled in you can commence giving them full strength applications. Either general or manure fork whichever is an essential gardening tool for both beginner and experienced gardener. So when buying one ensure you pick the perfect size for your height and weight you are happy with. They are ideal for spreading manure and compost and manures onto your plot. There are many other tools and accessories that can be useful when developing or maintaining your vegetable garden, such as containers, Wheelbarrow, propagating trays, seedling mix, mesh and netting, cold frames, hand shovels and the list goes on. But I will be looking further into some of these items in future blogs. Now that you have all the tools you will need, as well as a theme for your garden and a practical design layout, how about the plants? Most seedlings can be purchased from your local garden centre, and will depend on your climatic conditions, and what time of year it is in your area. Plants like radishes and beans are very easy to grow from seed, and should you have children, they will enjoy seeing your plants pop up suddenly through the soil. So There You Have It. Some Basic Vegetable Garden Ideas. Now there should be nothing to stop you starting on your first vegetable growing project. Remember that the size of the plot will depend on your available space. If you simply don’t have enough room in your yard, then think about placing them in containers. In a future blog I will be looking at using a hydroponic A frame setup that utilizes space very efficiently. How hard is it to grow peppers like Ghost and Carolina Reapers. We love spicy food, but I wasn’t sure if I should add to the regular garden, or build a raised bed. Any thoughts? This is a very important post here in respect of the way that people are now looking into how to cut down on their weekly shopping spend as things seem to be getting harder for people to make ends meet. I just purchased a house not long ago and I am trying to learn more about gardening. I really like the information you post, I needed some tips! Thanks for sharing. I am a passionate garden also and this site is delightful. Getting kids involved is so much fun and they learn you don’t just go to the store to get food. Exciting learning for young people. My kids grew up being able to eat from the garden every day after school and now as grown up are doing the same for their children which is beautiful to see . Hey Jim, another interesting article you wrote here! It gave me some great ideas as the past year I’ve introduced my 7-year old son to gardening. He was so pride when he could harvest his carrots and present them to my wife. And he actually loves to eat vegetables now. I’m fairly lucky when it comes to space for a vegetable garden. In fact I have 3 raised vegie gardens approximately 1m x 2m. Not huge, but enough to grow various things in. My wife keeps telling me that we should change vegetables around each year. For instance, if we grow potato’s in one vegie garden, they need to be grown in a different one the following year. Is this just a myth or is it genuine? We’ve actually been thinking about renting a small allotment area since we moved into the city – somewhere small where we can get into growing at our own pace. 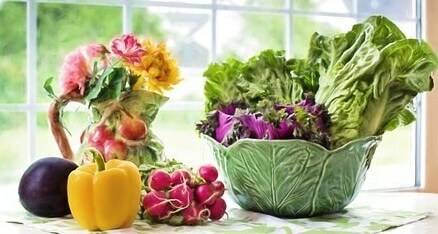 One question that really confuses us to start with is what is the best vegetable to plant first and concentrate on? Which is the easiest to grow in UK weather? I only ask as we would love to be successful with the first crop we go through – it will fill the kids with confidence and also give us a confidence boost. We enjoy our vegetable garden. We focus on a variety of herbs, have tomatoes, and sweet peppers. Plus we have added some mosquito repelling plants like lavender, lemongrass, and rosemary. We have also added a couple of butterfly bushes because it’s nice seeing different butterflies around the garden. We grow some of the perennial herbs in large pots so we can move them indoors for the winter. We had a small garden on a small plot once. It was the my little paradise patch! We grew all kinds of things – all the leafy veg. My favourite was the strawberry patch. We started with just six plants, but after two years we had two 10m length bed of it! That garden got us through some hard times. I am sure many will benefit from your suggestions here. Thank you for the tips. It is also wise to have a garden around the house for the greenery and health wise. But how do you maintain a garden without pesticides? I have seen people here at home use pesticides to keep insects from eating the crops. How can you prevent pests from destroying the garden without the pesticides? Is it wise to plant crops in containers and kept inside of your house? I have no idea what Raddish is, I guess I will have to read about it. Another great article mate – and covering a few very important points from the children’s angle (as I mentioned in our last comment – we have got the children involved in the allotment from the word go!). You mention here that radishes and loose-leaf lettuce plants are a great starting point to get through as a project with the children, but are there any other vegetable choices that will grow relatively quickly (so that the kids won’t lose interest when the weather changes?). Hi Jim. You are so right when it comes to the space issues of growing veggies, I was reluctant to start due me thinking I never had enough space, I started with small pots and once big enough I actually put them in my garden beds and they grew with all my other flowers filling the gaps of sand patches I had everywhere. you do not need lots of space, if you want a veggie garden that is not like mine, you can grow all sorts of veggies that do not harvest at the time of the year, thank you for your great tips on veggie growing. I really miss my garden years ago after reading your article. I want it back, somehow, we no longer live there. The place we’re living now has not enough space for a garden. Anyway, gardening with your children is really fun but sometimes tiring as well. They will not stop going back digging or they won’t stop picking on me on when the fruit will come out when we newly planted a seed. Those were the days. I miss those fun and tiring times. I hope you will share about inter cropping too. It’s really fun reading your article. Thanks Eli.Yes, I often think about my youth as well, and I miss the garden I grew up in. I was fortunate enough to have a father who loved gardening , and he taught all us kids how to grow vegetables, as well as ornamental plants. I still have fun with our grandchildren however, they love helping out in the garden and they love growing there own food. Hey Jim, I forgot to ask in my last comment. I’ve noticed that we had a lot of weeds growing in our vegetable box. Do you have any suggestions how we could keep our box nice and neat? I was thinking about a chemical product, but I’m not sure if thats a great idea? I would prefer a more biological solution. Hi Jim, thanks for sharing this basic guide to gardening design for vegetable. My mom has been complaining since day one that I’m wasting all my real estate in the garden for not growing something that we can eat. What has been putting me off is actually the design. I would like to hear your opinion on this. I think most house owners are probably like me. We like the idea to grow something that we can harvest and enjoy the fruit of our labor. But we don’t want to ruin the look of our garden. The least I want is roll after roll of vegetables planted in my garden. After all, we wanted this garden for having a place to relax and enjoy nature, not to save on our grocery bill. What’s your idea in terms of design so that we can both enjoy the vegetables and have a good looking garden at the same time. Hi Wei. In the end vegetables are just another plant and many of them can supply either color from their flowers or their foliage. If you don’t like the idea of a set vegetable patch then why not intermingle the vegetables with other plants in the garden. Loose leaf lettuce plants are easy to grow, supply a great meal for the family, and come in a range of colors and shapes. They can make excellent edging plants. Then you have the beautifully colored Kale plants. Many people use them as fillers in the front section of the garden. They come in a huge range of colors and many are even multi colored. I saw one recently that had a yellow frilled edge, ten a cream center with a purple eye. Yes, I fully agree, to have a vegetable garden is one of the joys in life even if it might cause some pain here or there. I enjoyed reading your post as I have been pottering on my Spanish farm since 1981. I have learned a lot while doing this. You are right, one has to plan in advance and stick to a timetable as each typ of vegetable will have a differnt time frame. I personally also take the moon phases into acount as it really makes a difference. It is good advice to tell your readers to take height and spread into account. I was a bit surprised you also said color and texture? Fact is that a well planted veggie garden can look just as beautiful as a normal garden. Have you heard about this new trend to convert lawns into edible landscapes? I think that is a great idea as lawns are not healthy, specially for children and pets and cost fortunes in water, pesticides, and petrol. I can imagine your grandchildren enjoying eating straith from the plant. It is great to eat a sun warmed tomatoe. My trick as for fertilizer is this. A plastic bin with a lid .During the week all bio waste goes in there. On the weekend it is dug into the vegetable garden. Doing this has improved the soil a lot. I really enjoyed your article about gardening. It was a great idea to have the kids help out with choosing the vegetables to grown and overall helping garden. Eating healthy when younger is so important. You had listed a lot of tools that are good to use. Do you know of the best place to buy good gardening tools at a good price? Looking forward to reading your other article and learning the best herbs to grow. Thanks Jim for the great information.